Ilker Cinarel, Turkish-British Artist, graduated in MA Fine Art Contemporary Practice, Falmouth University in 2011 with a Distinction and winner of Sandra Blow Award 2011 and 2014 Inland Art Festival Award. 2017, Cinarel selected Syllabus III artist retreat program. 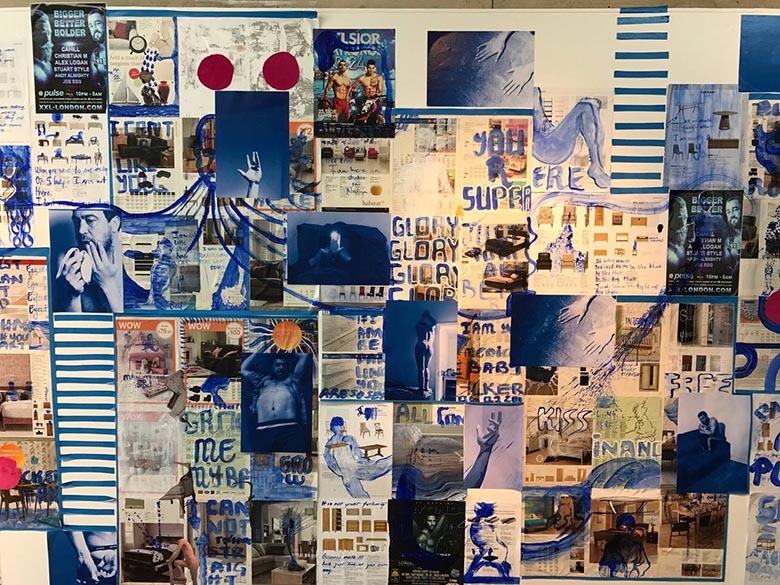 Cinarel works individually and collaboratively across painting, sculpture, video, installation, spatial intervention, sound, text, performance and curatorial practice. Ilker is now living and working in the UK, London – St. Ives and Istanbul. Works have been exhibited in the 6th Istanbul Biennale –‘Passion and The New Wave’ and in exhibitions both nationally and internationally. Research projects have included an internship with Hoeschst and Retsch porcelain companies in Germany. Recent works are held in private collections. Cinarel also worked in 2000 – 2009 in the London fashion houses of Vivienne Westwood and Giorgio Armani. Many group exhibition including Inland Art Festival (2016) Redruth UK, Newlyn Art Festival, Newlyn Art Gallery (2015), Backlane West, Redruth (2015), Exchange Gallery, Penzance (2015), Inland Art Festival, Redruth (2014), The Montage Gallery, London (2014), Porthmeour Studios, St Ives (2013), Decentralized Network Congress | USA |Serbia | Argentina |taly (2012).